Alongside the No. 1 hit “More Than Words” and Top 5 follow-up “Hole Hearted”, the second single from 1990’s “Extreme II: Pornograffitti (A Funked Up Fairy Tale)” helped propel the project to sales of more than 2 million copies in the States. 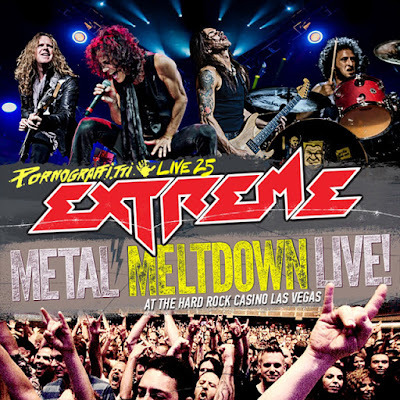 Extreme marked the 25th anniversary of the record by performing it in its entirety on the road last year, including the Boston group’s appearance at the Metal Meltdown event at The Joint at the Hard Rock Hotel & Casino in Las Vegas, NV. Headlined by Twisted Sister – who issued the first DVD set in the Metal Meltdown series earlier this year – the show also saw sets by Great White and Skid Row. “Over 25 years after this iconic album was released, we captured the band at their very best,” says producer Barry Summers. “Watching Nuno Bettencourt's off-the-charts guitar solos is simply mind-blowing, as confirmed by Queen's Brian May and Aerosmith's Steven Tyler, whom we filmed paying homage to the Guitar God himself in the RockShow documentary. 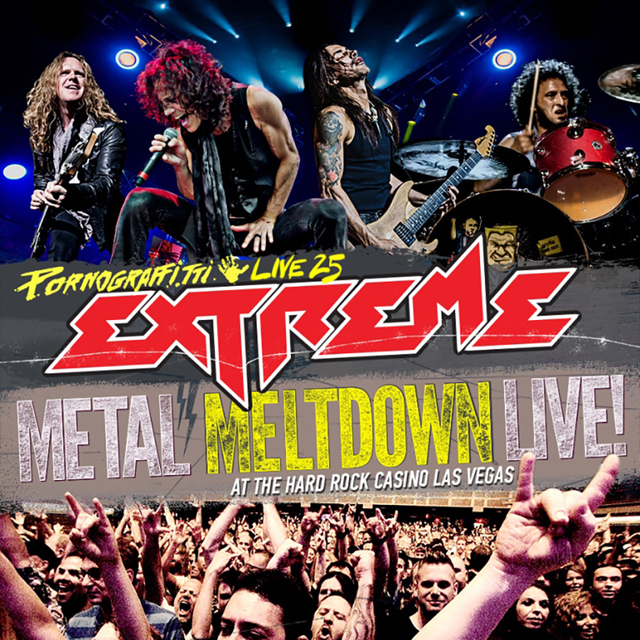 Directed by Brian Lockwood, “Pornograffitti Live 25: Metal Meltdown” includes a Blu-ray, DVD and audio CD of Extreme’s complete set.